I was once cheated out of a trip to New Orleans because of a change in jobs so the opportunity to begin my journey in this iconic city and add a few days extra was a must. 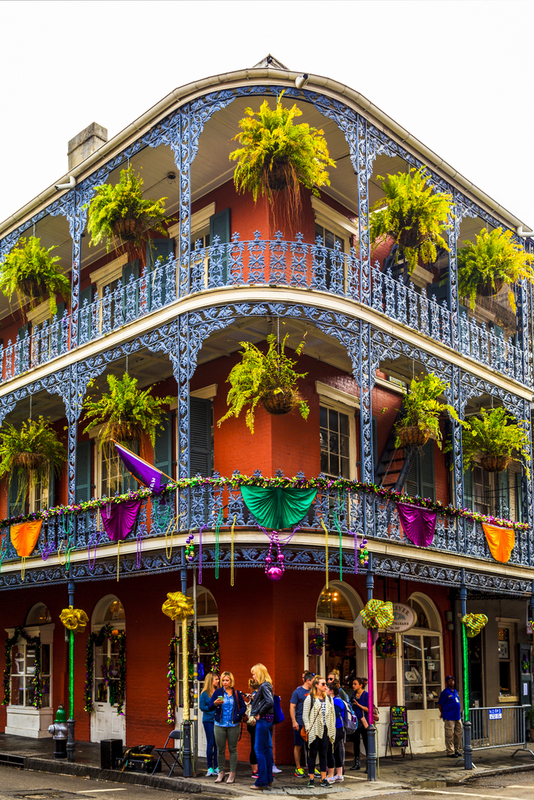 The French Quarter is the city’s oldest neighbourhood and home to a number of jazz haunts including Lafitte’s Blacksmith Shop, dating back to the 1720s. Preservation Hall is another option but you may have to queue. There’sno bar or air conditioning, but there is plenty of authentic music. This is plantation country and Oak Alley, with its stunning quarter-mile canopy of 300 year-old live oak trees marking the way to a Greek-revival style antebellum home is a good example. Another is Myrtles Plantation, said to be one of America ‘s most haunted homes. Frogmore, a working cotton farm dating back to the 1800s, has the only computerised cotton gin in the country. 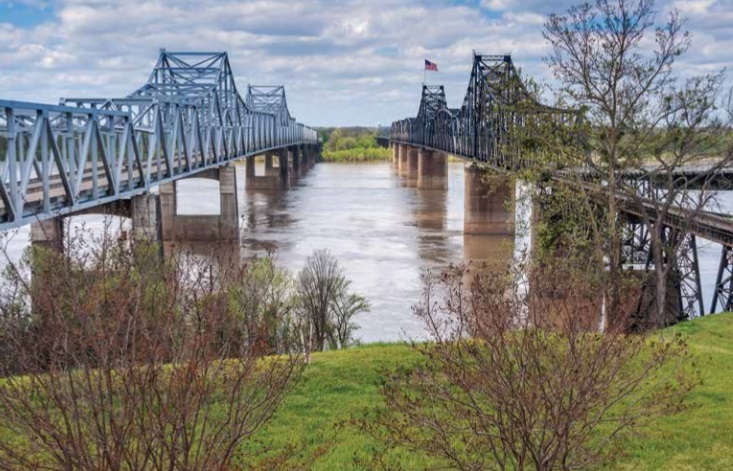 Both Natchez and Vicksburg bring the American Civil War into strong focus. The National Military Park is home to over 1,300 monuments, markers and battlefields. Al most 40 years after his death, Elvis Presley continues to intrigue, and here is the opportunity to visit his Graceland home and the Sun Studios in Memphis where the King recorded so many hits. To make the most of a visit, take the audio-guided tour which features both the legend himself and daughter Lisa Marie. 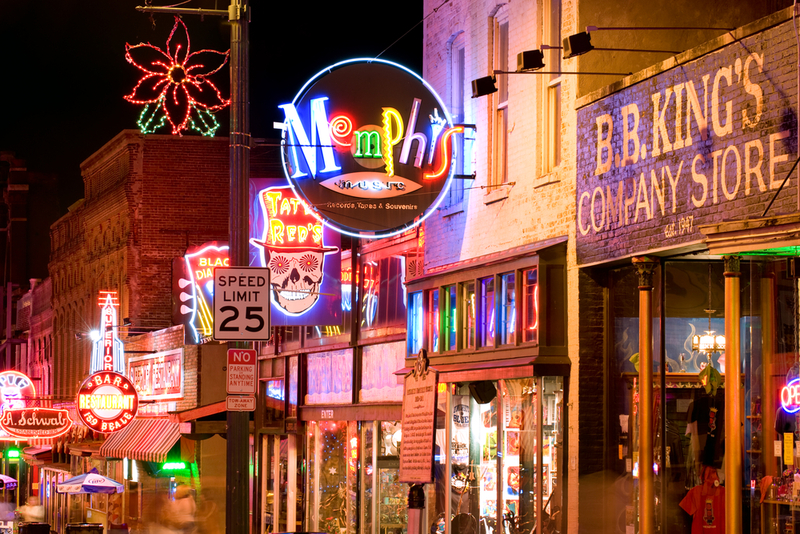 Another must-see is the Memphis’ National Civil Rights Museum, created in the former Lorraine Motel where Martin Luther King was assassinated. The exhibits trace five centuries of history – from the beginnings of the resistance during slavery, through the Civil War and Reconstruction , to the events of the late 20th Century that inspired people around the world to stand up for equality. Capital City Grill Downtown and The Little Village in Baton Rouge; Biscuit & Blues, Cotton Alley Cafe and Pig Out Inn Barbeque in Natchez, and Walnut Hills and Rusty Riverfront Grill in Vicksburg. St Louis is famous for its 630-foot arch and the ride to the top – with its fantastic views stretching 30 miles in every direction on a clear day – is a great way to see what lies ahead for a river cruise. To wet your whistle, set off for the Anheuser Busch Brewery and stables built in 1885 to house the Clydesdale horses that were used to pull the wagons carrying beer. All this before you step aboard and steep yourself in the history of the river and the explorers, cowboys and Native Americans who helped to forge the US nation. In Hannibal the obvious choice is the Mark Twain Boyhood Home and Museum where a visit to the Huckleberry Finn house and renovated Becky Thatcher home. Davenport is home to many a music festival, both jazz and blues; you may be lucky enough to arrive during one of these but if not there’s plenty to hear, see and do. From antique to modern tractors at the John Deere Pavilion, charting the locale’s agricultural history, to the Hauberg Indian Museum which relates the story of the Sauk and Meskwaki Indians there’s something for everyone. The National Mississippi River Museum & Aquarium in Dubuque gives you the opportunity to pilot a barge, experience a flood’s devastation and follow a 92ft map of the river beneath your feet through simulators. It also charts the lives of the pioneers, explorers, and artists who lived along the river. Sippi’s Restaurant in Davenport; Marl twain Dinette in Hannibal; The Root Note and Rudy’s Drive-In in La Crosse; and St James Veranda and Liberty’s restaurant & Lounge in Red Wing. The names Lewis and Clark trip off the tongue of many Americans and the Columbia River is the place to find out all about them. The pair were commissioned by Thomas Jefferson – one of the Founding Fathers, and third president of the US – to explore the region following the Louisiana Purchase by which 828,000 square miles of territory were bought from the French at a cost of just three cents an acre. After reaching the Pacific in 1805 and on the advice of the Clatsop Indians, the Lewis and Clark established the Fort Clatsop encampment where they spent the winter before returning east to St Louis in the spring. Aside from its cultural history, the river is a place of natural wonder. 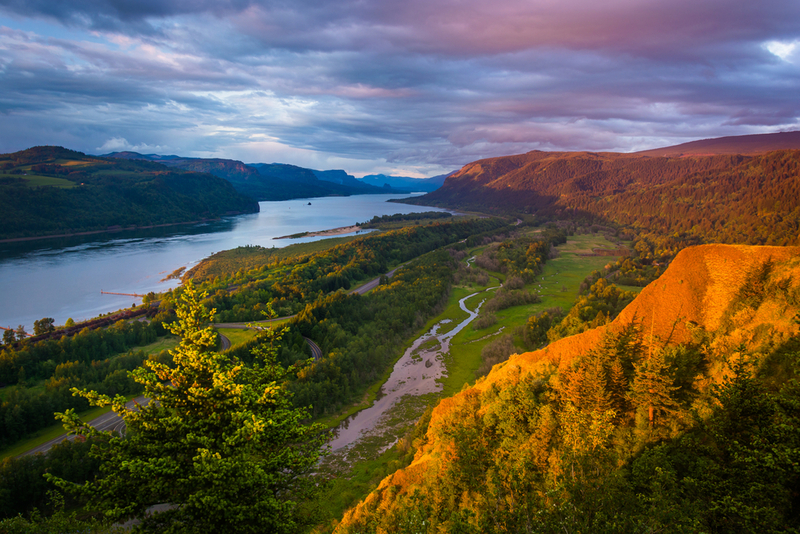 The 80-mile canyon abounds with breathtaking scenery including mountain peaks, abundant wildlife and waterfalls, most notably the 600ft Multnomah Falls. Hells Canyon is said to be the deepest and most remote in North America and it certainly feels that way. The 8,363-ft Mount St Helens which last erupted in 1980 – with catastrophic consequences – is an awesome sight. 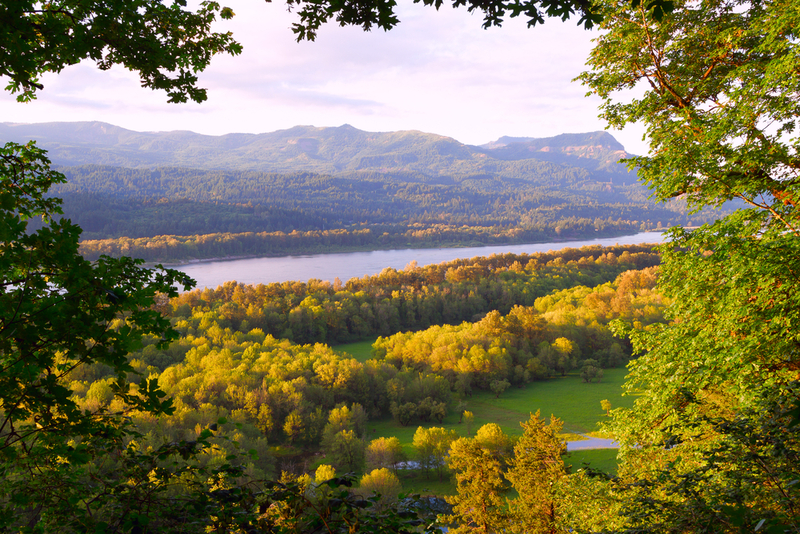 There are more than 30 wineries along the gorge, with names such as Scorched Earth Vineyards and Naked Winery. Try Naked’s Oh! Orgasmic if you get the chance. Returning to man’s endeavou rs and for a bit of history combined with shopping, the Pendleton Woolen Mills is worth a visit. Founded by English weaver Thomas Kay, it is the only mill in the US founded specifically to produce Indian trading blankets.